Wikipedia describes shapeshifting this way, “…founded in mythology and folklore (and still prevalent in modern fantasy fiction), … the ability of an entity being able to physically transform into another being or form. 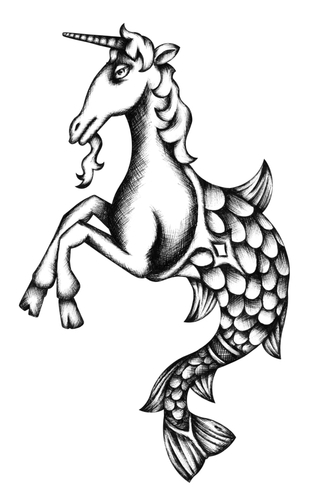 This is usually achieved through an inherent faculty of a mythological creature, divine intervention, or the use of magic spells or talismans.” Sadly, we don’t have any magic spells or talismans, so I can’t turn myself into a unicorn-mermaid. Happily, ideas (unlike people) can be transformed into something entirely new. No divine intervention is necessary, but you will need the resolve to disrupt the existing state of affairs, the willingness to collaborate and a structure for action to transform your company’s most vexing problems into its greatest opportunities for improvement. The thesaurus lists “loosen” as a synonym for “shift.” That’s appropriate when we talk about shapeshifting problems into opportunities for improvement. The first step is to loosen the grip of the status quo. Inertia is a powerful force in companies and the urge to do things this way because we’ve always done them this way is strong. Organizations that are committed to changing for the better must create a culture that accepts the discomfort that inevitably accompanies something new. During a shift, mistakes will be made, process will get broken, people will get confused and frustrated. It’s Ok and ultimately worth it when the goal is achieved. Opportunities for improvement are not hidden in a cabinet in the CEOs office, patiently waiting for him to wave a wand and bring joy to the land. Instead they are directly in the path of the people who work most closely with customers, prospects, partners and products. They are not likely called “opportunities for improvement.” They are more likely called tribulations, obstacles, nuisances or pains in the you-know-what. Ironically, the people closest to the problems usually know how they could be fixed but are not granted the authority or resources to do so. Great organizations foster a culture of collaboration by getting everyone in the company engaged in identifying opportunities for improvement (i.e. “problems”) and implementing solutions. A program to identify and implement opportunities for improvement will work about as well as alchemy without the structure in place to capture ideas, assign ownership, track progress and measure results. Applying a method for change is as important as fostering the willingness to change. In fact, they go hand to hand because as ideas are successfully executed and problems eliminated, people become more invested in the process of improvement and are able to confidently agitate for transformation. So, while I can’t turn you into a newt, you can turn your company’s biggest obstacles into breakthroughs. The alternative is a really boring rerun, so why not give it a shot?